Being a woman it is almost impossible to forget the fact that we have ovaries since we receive a timely, and sometimes unwelcome, reminder once a month. However, awareness of the fact that they are there doesn’t necessarily mean we know about pain or other symptoms associated with these organs, or that we know what risk factors and symptoms to look for to avoid complications like ovarian cysts and tumors. The ovaries are organs, found either side of your uterus, that are responsible for producing estrogen and for initiating the menstrual cycle. 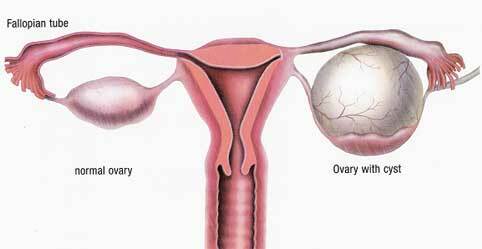 Your ovaries consist of a number of structures including follicles that contain the ova or your future eggs. Each time you ovulate, one of these eggs is released into the uterus for a chance to be fertilized. 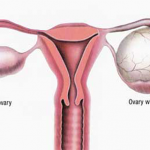 An ovarian cyst, in its simplest form, is a fluid-filled sac found in or on your ovaries. Most women produce at least one cyst each month, but they are painless and they disappear quickly. There are different types of ovarian cysts and the ones that normally cause pain or complications are the ones that women are talking about when they talk about ovarian cysts. There are essentially a number of different types of ovarian cysts, depending on how they form, or where they form, in relation to the ovaries. Functional ovarian cysts are the most common type of ovarian cysts, and they are normally formed during your ovulation process. Functional cysts form when your ovaries do not release the egg properly or when the egg sac or follicle that contained the egg is not absorbed by the ovary efficiently. These types of cysts are also sometimes called follicle cysts and they often go completely unnoticed since they are most often not painful at all. Your body resolves follicle cysts naturally within a few months. 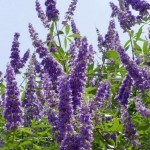 Functional or follicle cysts seldom occur in menopausal women since ovulation has ceased. In certain individuals, the lining of the uterus begins to grow beyond the uterus and may in some cases grow into the ovaries. Unlike functional cysts, endometrioid cysts can be very painful, especially during menstruation. These cysts may affect fertility and your ability to fall pregnant. Another cyst that may cause discomfort and pain is called a dermoid cyst. Dermoid cysts are actually benign tumors that occur most frequently in younger women. These cysts may contain tissue like cartilage or fat and may even contain hair and skin. They can grow up to 6 inches in diameter and can be extremely painful. These cysts may become inflamed causing severe abdominal pain and discomfort. Your eggs form in follicles in the ovary. When these follicles fail to open correctly to release the eggs during ovulation, they can accumulate on your ovaries. This causes an individual’s ovaries to enlarge, resulting in a thick outer layer or covering on the ovaries. This thick outer layer is often the source of pain and discomfort. 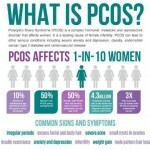 Polycystic Ovarian Syndrome can result in fertility problems and other complications. Serous cystadenoma is filled with a thin watery fluid and can grow to be between 2 inches to 6 inches in diameter. Mucinous cystadenoma is filled with a sticky, thick gelatinous material and can grow to be between 6 inches to 12 inches in diameter. There have been rare cases where the cyst measured 40 inches in diameter and weighed over 100 pounds. In extreme cases you could experience nausea and vomiting. You should pay attention to any pain or discomfort you feel during your menstrual cycle, and if you experience any of the following extreme symptoms then you should seek medical attention as soon as possible. Extreme symptoms caused by cysts include sharp or severe pelvic pain. If you are running a fever, or feel faint or dizzy during your menstrual cycle, then you should get medical help. If you breathing is affected, then you need to seek help immediately. Although science has not yet isolated the causes of ovarian cysts, research has identified a number of risk factors that increase your chances of developing ovarian cysts. Smoking is a risk factor that may increase your chances of developing ovarian cysts. Obesity or a BMI (body mass index) greater than 20 may increase your risk of developing functional ovarian cysts.To work out your BMI – divide your weight in kilograms (kg) by your height in meters (m) and then divide the answer by your height again to get your BMI. Having children affects the overall hormonal balance in the body. Women who have not had children and women who did not breastfeed their children may have a greater risk of developing ovarian cysts.